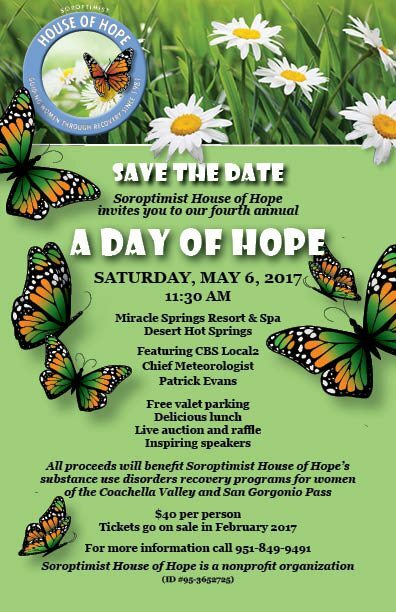 Blog Join Us for "A Day of Hope"
Join us for our annual “A Day of Hope” fundraiser which is scheduled on Saturday, May 6, 2017. We hope you to see you there! Tickets for the event are $40 per person. *Seating will be limited. Tickets will not be available at the door. 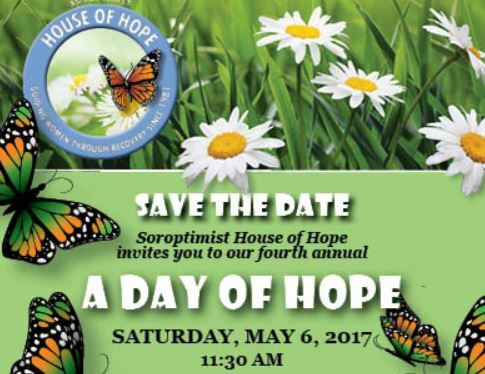 *Please be sure to indicate “A Day of Hope” in the Memo field online and/or on your check.